MADE IN THE USA!!! The Bil-Jax Hoist Arm is a rugged swivel head hoist arm, used in conjunction with a well wheel in order to make your lifting jobs easier. 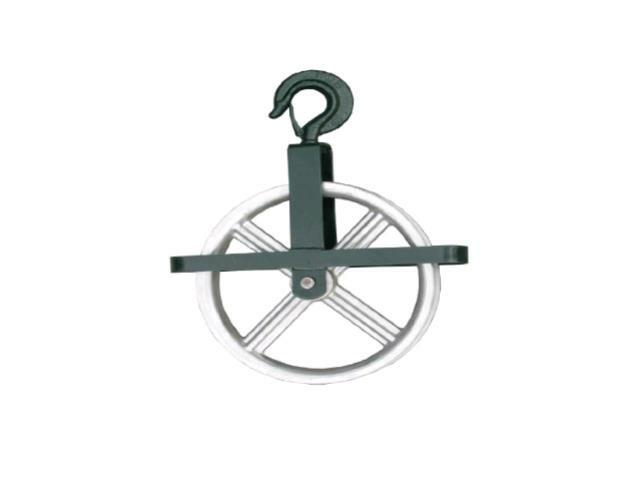 The Bil-Jax Hoist Arm/Well Wheel has a 100 lbs. capacity. * Please call us for any questions on our scaffolding pulley 12 inch in Concord, serving all of New Hampshire, including Manchester, Canterbury, Loudon, Hillsboro, and Northwood.